The e2470Swhe comes in a timelessly classic black design equipped with a high-quality 59.9 cm (23.6”) Full HD panel. Delivering superb picture quality thanks to a high typical contrast of 1000:1 in combination with a 250 cd/m² luminosity and a pixel response time of 5 ms only, the e2470Swhe is perfectly equipped for both office and entertainment applications. Simply connect your AV sources via the model’s D-Sub or two HDMI ports and enjoy flawless picture quality. 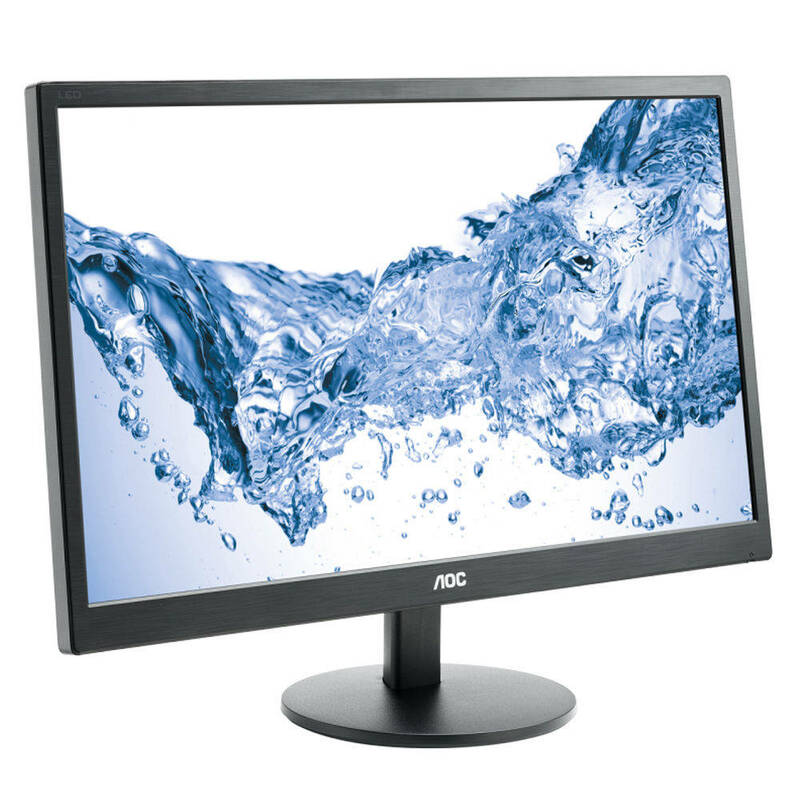 Despite its large screen, this 23.6” monitor bargain consumes a mere 26 watts in standard mode.Furthermore, AOC fits out all of its monitors with clever software and presets to further save energyand enhance the overall user experience. Let the e2470Swhe stun you today.